If you’re thinking of applying for a loan to buy a house here in Shelby County, it’s easier than ever to get confused, given the incredible variety of loans offered by banks, loan companies, credit unions and other groups. It’s also possible to completely overlook what could be the perfect loan program, which is all the more reason why you should have a knowledgeable lender helping you. First Step and Step Up are two more loan programs you should know about. These are bond money loans offered by the State of Alabama, and have wound up helping many home buyers in our area. First Federal Mortgage Loan Officer KC Haririan, who joined us for our Netcast last month, is back with us again to talk about these two programs (he has plenty of experience with helping buyers apply for both). We also discuss the current lending climate here in Shelby County, and what you’re about to hear may surprise you. With all the media attention devoted to the credit crunch, a lot of folks may be shying away, thinking they have no chance of qualifying for a loan. But as we learn from KC, that’s not always necessarily true. Click the player just below to listen to our latest Netcast interview with KC–we hope you enjoy it, and that you find the information useful. Pricing Right in Shelby County Pays! Okay, we know. You’ve heard the line about how important pricing your home can be. But would you like to see a real world example of how this works here in Shelby county? Consider the case of several homes for sale in one part of Alabaster. We looked at the sales of single level homes during the past six months (this was done as part of a Comparative Market Analysis we ran for a client who lives in the neighborhood). For all the homes that sold during the six month period, the average number of days on market was 73, and the average selling price was $ 147,000. On average, the homes that sold got 98.7% of their asking price. Not bad, huh! Obviously, not all homes for sale in the neighborhood have sold during that six month time frame. Those single level homes still for sale (active listings) in the same area have been on the market for an average of 130 days, or nearly twice as long as the houses that sold. And the average asking price for those same homes is between $ 155,000 and $ 165,000. So, do these numbers say anything? You bet. To me, that’s a true reflection that these houses are simply overpriced. So, what does all this mean? Simple. Pricing is your key to controlling how soon you want to sell your home. Like it or not, price is a clear indicator of a homeowner’s true motivation to sell. The price you select will help decide whether you enjoy the sweet smell of success in a shorter time frame, or whether your house stays (and stays!) on the market for many weeks or months longer. 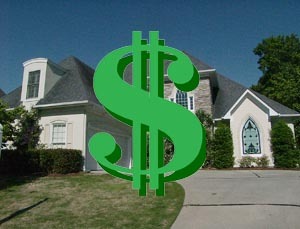 Are you hearing talk among some sellers that the Shelby County housing market has gone soft? Don’t believe it. Homes are selling. The simple fact is that buyers are looking for the best deals they can find, and are passing up those homes they consider priced too high.